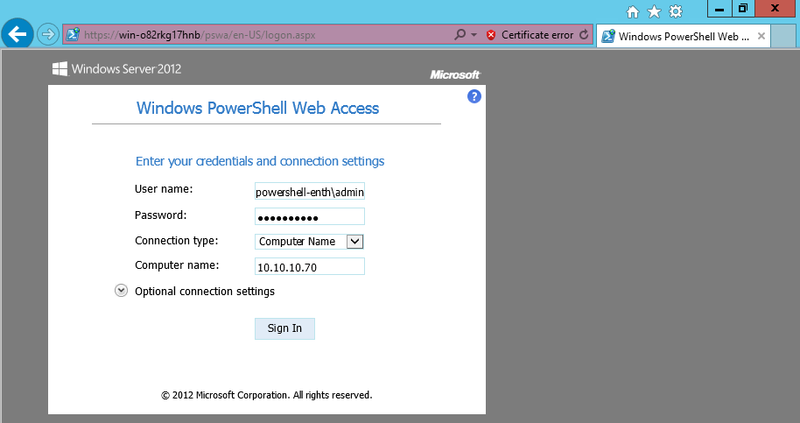 Windows PowerShell commands and scripts can be run from a Windows PowerShell console in a web browser, with no Windows PowerShell, remote management software, or browser plug-in installation necessary on the client device. Examples of client devices include laptops, tablet computers, web kiosks, computers that are not running a Windows-based operating system, and cell phone browsers. IT Pros can perform critical management tasks on remote Windows-based servers from devices that have access to an Internet connection and a web browser. 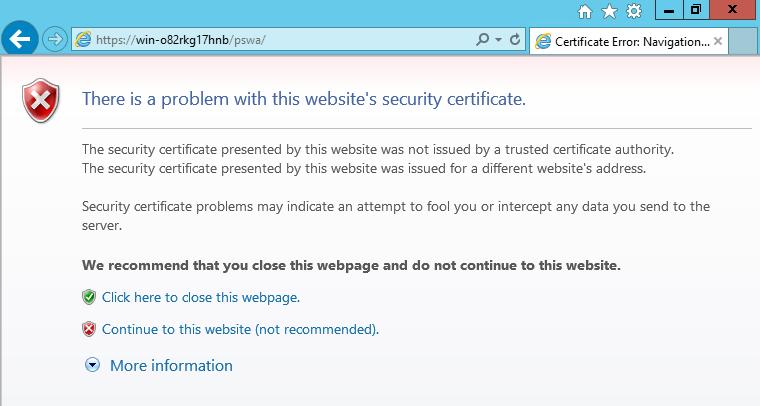 Users can access a Windows PowerShell console by using a web browser. 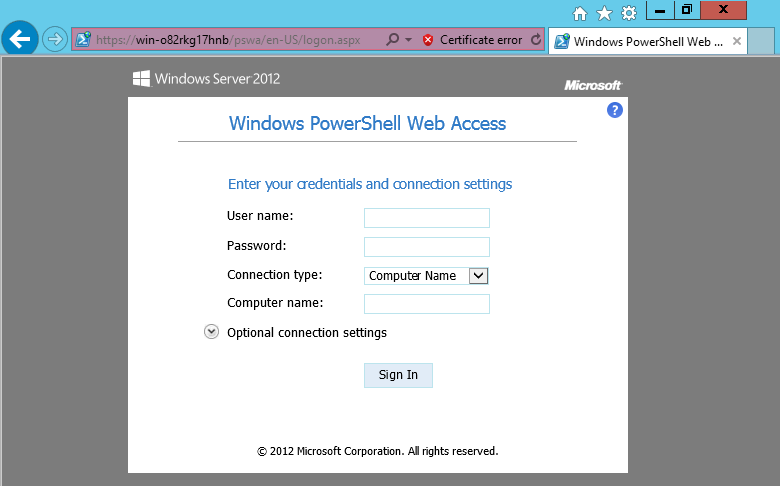 When users open the secured Windows PowerShell Web Access website, they can run a web-based Windows PowerShell console after successful authentication. Here are the steps which i followed to test out PSWA. 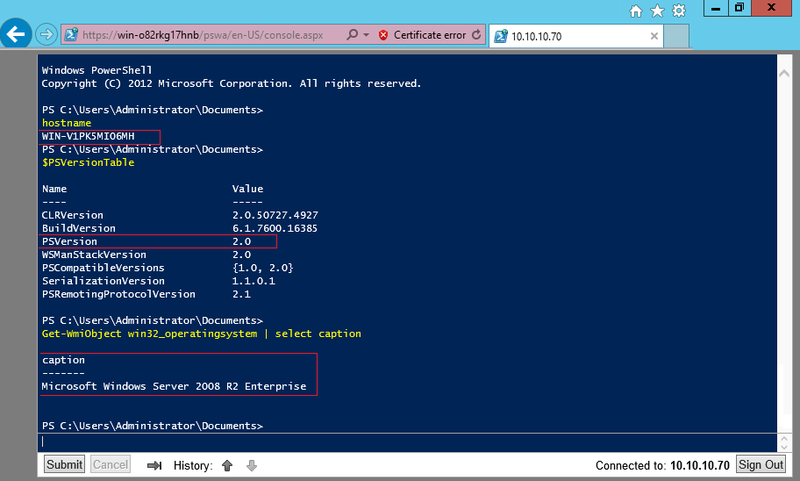 was logged into the correct host and also it had powershell v2 installed. I also wanted to share one more screen along with that which is for “inactive session timeout” which auto logged off my session when i was inactive for a certain period of time. 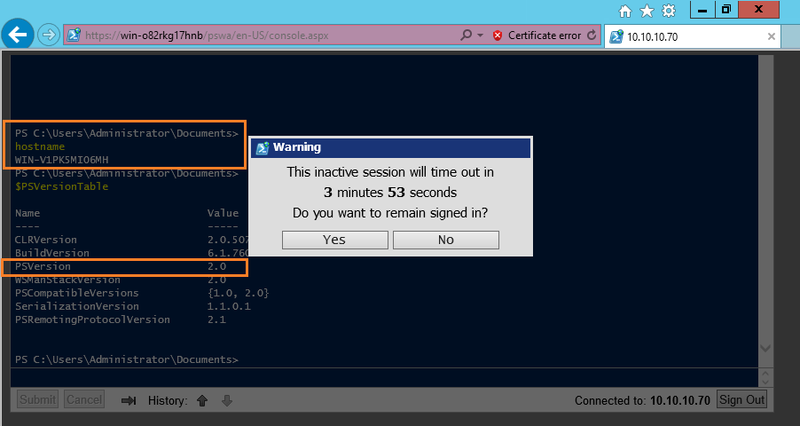 So Guys let me show you the real world example of PowerShell WebAccess, Yes!! 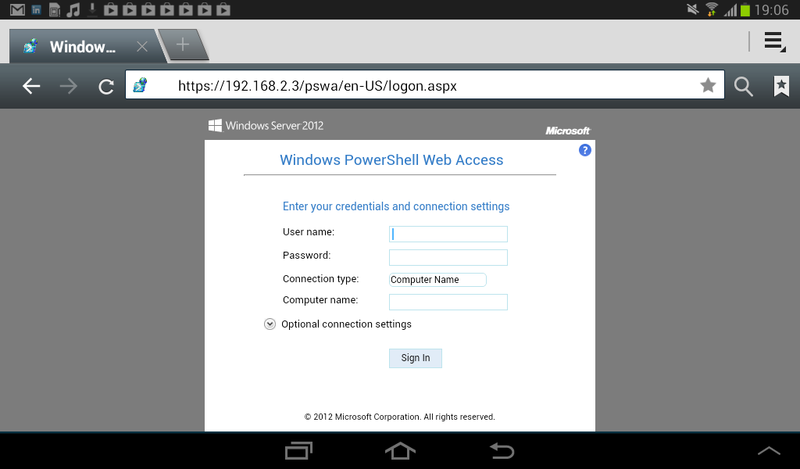 Here’s the console when I accessed it from my Samsung Galaxy Tab 2 p3100, wohooo J now that’s superb!! Stuff!! Did not even know this existed! I'm looking to build a web based gui for some basic powershell commands that i'm always having to do as a system admin on office365 environments.